is one of the top 20 causes of disability! You cannot walk off a concussion! affect 5% of the population! One in five women experience migraine. Helmets do little to protect against concussion! 1.6 to 3.8 million sports related concussions annually. 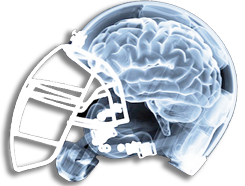 The Florida Center for Headache and Sports Neurology is a tertiary center specializing in the treatment of Sports Related Concussion, and Headache. We also provide outstanding care to patients with a variety of neurological disorders such as Cluster Headache, Stroke, Parkinson’s Disease, Seizures/Epilepsy, ADD/HD, Dystonia, Multiple Sclerosis, Alzheimer’s Disease/Dementia, Neuropathy, Facial Pain, Fibromyalgia, Low Back Pain, Cervical Pain, Dizziness and Sleep Disorders (please see our patient education section for details). Our physician is also one of the busiest and most experienced injectors of Botulinum Toxin i.e. Botox for neurological disorders (Chronic Migraine, Cervical Dystonia, Spastisty, and Facial Spasm) in the United States with over 20 years of experience and over 400 active patients. The Florida Center for Headache and Sports Neurology has 3 locations throughout South Florida, including Port Saint Lucie, Palm Beach Gardens and Fort Lauderdale. Our facilities are state of the art and offer in house diagnostic and neurological treatment services along with the latest technology. Call and make an appointment with Dr. Conidi at 772-337-7272. Our mission is to provide world class care normally found at large academic institutions in a personalized setting.